Phoebe fresh from the groomer. Yesterday, as the temperature in our house spiked to 89 degrees, I had a difficult time believing that a couple of weeks ago it was chilly outside and that I was craving warm, comfort foods. Today at noon it was 82 in our house and I am thankful that we got Phoebe groomed last week. Fall the past few years has been much warmer than the summer months and Phoebe is much more comfortable with her sleek coat and ears. 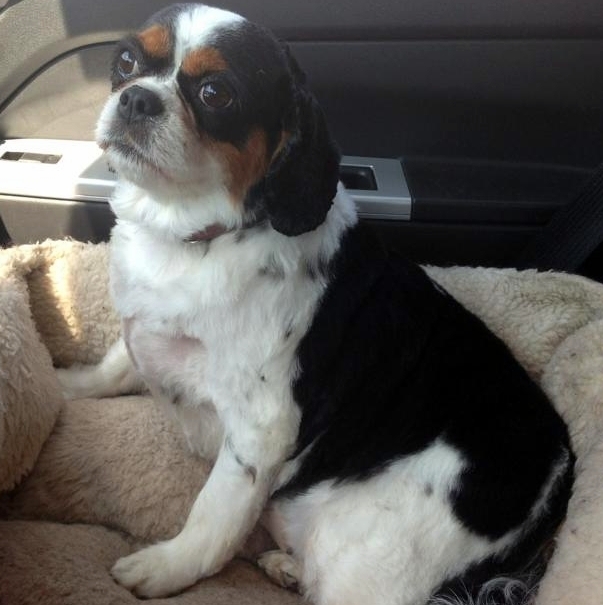 Before long she will be back to her long-eared, feather legged, spaniel self in time for our long Michigan winter. While the heat from the past couple days makes my body want green smoothies and salad, a couple weeks ago I was craving comfort food. I posted my recipe for Red Lentil Sloppy Joes and made a pot of Vegetable Chili. I also found myself craving mushrooms. Thankfully, I am fond of mushrooms because they make a great meat substitute. 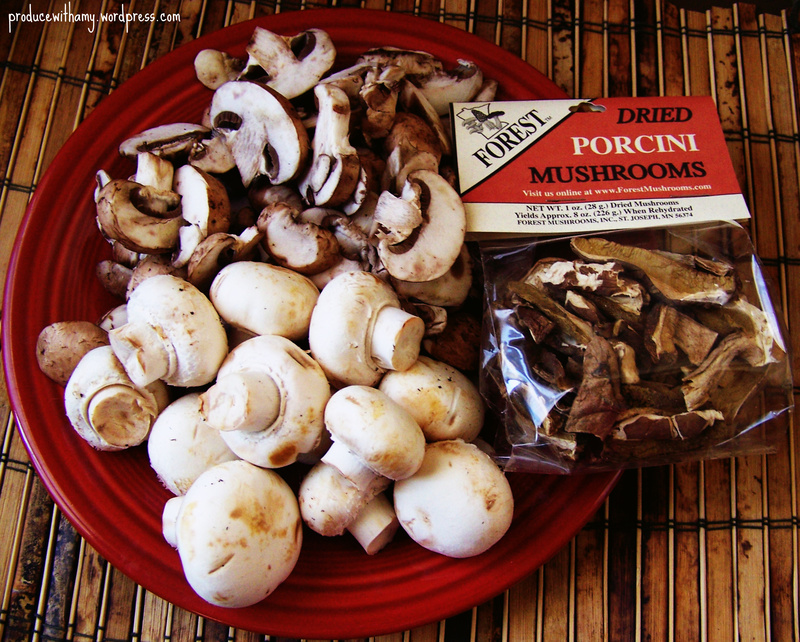 Portobello mushrooms are one of my staples with whole pasta and marinara, I love stuffed mushroom caps, and they are great in stir fry. When I posted on my Facebook Page that I was making mushroom soup, my friend Sue said that one of her favorite soups is mushroom barley. I thought that sounded like a fabulous combination so I added some to my soup. Thank you, Sue, for that wonderful suggestion! I used dried porcini, baby portobella, and organic button mushrooms along with fresh sage, thyme, and parsley from my garden. 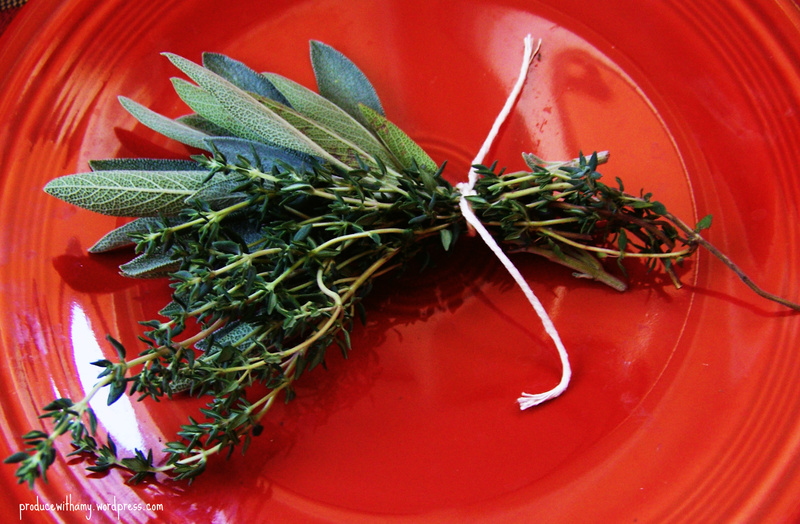 I tied the thyme and sage up with string to immerse into the crock pot. 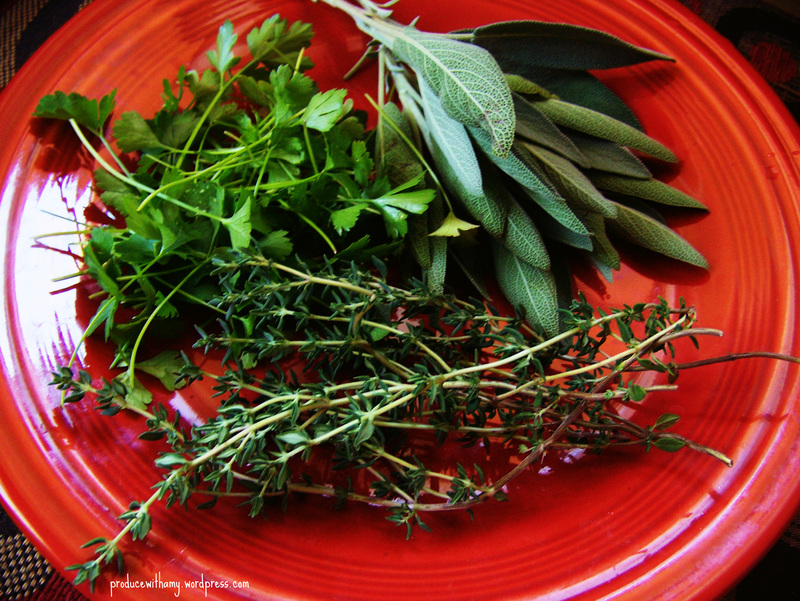 I tied my fresh herbs up in a bundle with string and pulled out of the soup after it was finished cooking. I caramelized the onion by cooking on low heat in a bit of coconut oil. After I added the onions to the soup, I de-glazed the pan with 1/4 cup of lemon juice. Marsala wine or sherry would work well and give an extra layer of flavor. Chop all ingredients and add everything, except the mushroom, onion, garlic, and barley, into a crock pot on low heat. Add two Tablespoons of coconut oil and brown the mushrooms until soft and add to crock pot.. In the same pan add the remaining Tablespoon of coconut oil and caramelize the onion on low heat until dark brown. 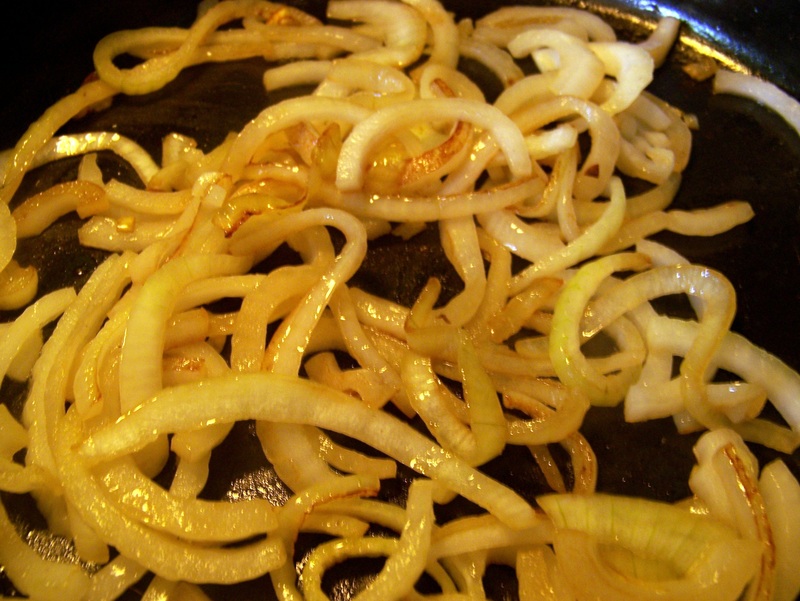 Caramelizing the onion will bring out their sweetness and give the soup broth a richness. When the onions are finished scrape them into the crock pot. Now add the garlic and saute until soft and fragrant and add to the crock pot as well. De-glaze the pan with lemon juice or wine and put the drippings into the crock pot. Cook on low for approximately 6 hours. During the last hour of cooking, put in the barley. Serve hot and garnish with fresh parsley and a squeeze of lemon or a dash of rice vinegar. Not only is soup a terrific comfort food when it is chilly outside (or for me, even when it is warm outside) but I learned when I joined Weight Watchers that a broth-based soup is a great, low calorie way to bulk up a meal. When I add a cup of soup and a side salad to a meal, I eat a smaller portion of the main entree. I do not think there is ever a time that I do not have soup or vegetable chili in the house (either in the refrigerator or in the freezer). Making a large crock pot or stock pot of soup is part of my weekly routine and Mike loves how filling and satisfying soup is as well. I was delighted with the way this soup turned out. 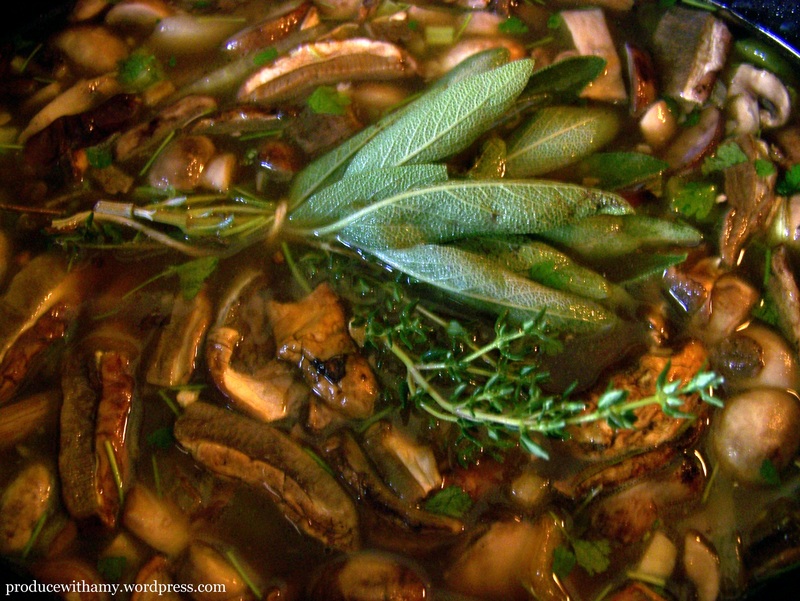 The stock was rich and flavorful and the mushrooms added a lovely texture. It reminded me of the mushroom soup that I had in Poland a couple years ago. Unfortunately, I do not believe that the mushroom soup in Poland had a plant-based broth. I have found that vegetable broth is a fine stand-in for soups that call for chicken or beef broth. This soup would also work well with brown rice and you could add other vegetables. I am going to try it in the future with a little bit of tomato sauce, cabbage, and white beans. If you are interested in other soup recipes you can find them on my soup tab. You can also find these recipes and follow my blog on Pinterest. Soup is a great way to bulk up meals and eat healthy without feeling deprived. Making a pot of soup is like writing a poem. It is therapeutic, satisfying, and the combinations are endless. 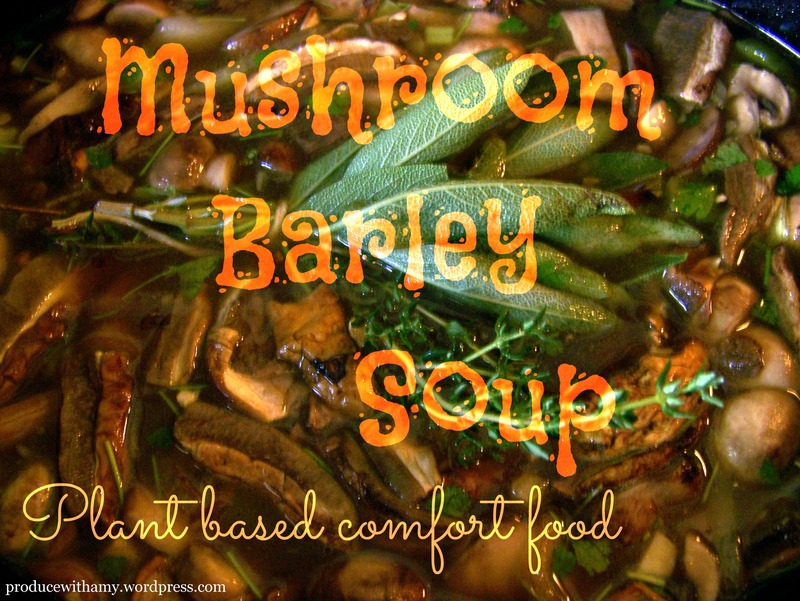 This entry was posted in Uncategorized and tagged Mushroom Soup with Barley, Plant-Based Comfort Food, Plant-Based Mushroom Soup, Vegan Mushroom Soup by Amy. Bookmark the permalink.